I haven’t visited Gentry Creek Falls in NE Tennessee until 2017. For some strange reason, I had it in my mind that the double Gentry Creek Falls were too far away for a day trip….. Also from what I was reading, they were extremely difficult to get to. After finally doing some more in depth research on this one, I discovered I was way off. It is in Tennessee….but just barely. This waterfall was about as close to me as some other NE Tennessee Waterfalls I have previously visited, such as Laurel Creek Falls, The Blue Hole, Jones Falls, and Compression Falls. 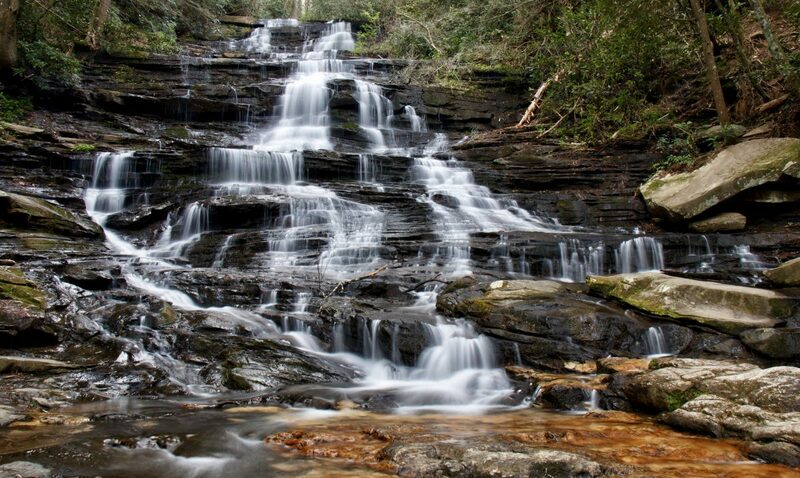 The closest town Gentry Creek Falls is associated with is Laurel Bloomery, TN. This is a tiny town near the place where the Tennessee, Virginia, and North Carolina state lines all meet. Its very close to Damascus, Va and Mountain City, Tn, and maybe 30 minutes from Boone, NC. This one is actually pretty close for me. I should have visited this one long ago.